eCampus is a self-paced education platform for anyone who wants to learn and prepare for Mathematics examinations at the Junior High School (JHS), Senior High School (SHS), and Tertiary levels. eCampus is built on a cloud and mobile technology interface, hence it is available on the Web, Android, Blackberry, iOS, and Windows app stores. The user controls the learning process and can choose which topics or sub-topics to learn with hints and reminders generated by the system based on the learners performance and challenges identified during the learning process. eCampus is 10 years and this is how we make you, our wonderful user experience and take a walk through our journey. eCampus is a self-paced education platform for anyone who wants to learn and prepare for Mathematics examinations at the JHS, SHS and Tertiary levels. 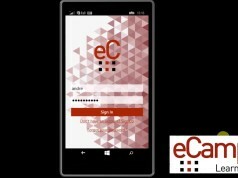 eCampus is built on a cloud and mobile technology interface, hence it is available on the Web, Android, Blackberry, iOS and Windows app stores. The user controls the learning process and can choose which topics or sub-topics to learn with hints and reminders generated by the system based on the learners performance and challenges identified during the learning process. The Logo transition of eCampus. The six neatly arranged black and red squares under the first two letters of the logo represents 1st, 2nd and 3rd cycles of global educational system. Meaning eCampus is the electronic campus for everyone anywhere who wants to learn. The eCampus Learn Smarter program was put together to facilitate the piloting of eCampus with selected remedial educational institutions who are offering Junior High School and/or Senior High School to their students. The program seeks to correlate the points earned by students whiles using eCampus with their final exam results from the West Africa Examination Council (WAEC). Students with high eCampus points are expected to score above WAEC′s C grade point. Likewise students with low eCampus points are expected to score below WAEC′s C grade point. eCampus ensures pre-classroom training. Learners can acquire basic knowledge of a subject before they participate in the classroom training session. This makes it easy to understand the subject better in the classroom. eCampus reinforces classroom training. Often it is not possible to retain effectively what is learnt in a classroom over a period of time. This problem can be overcome using eCampus. 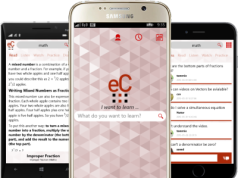 Points earning system on eCampus makes it possible for learners to practice with the app on a subject difficult to retain. Subsequent practice with marks/points recorded makes learners easily reinforce their classroom training. eCampus accesses learners knowledge. A good way to access the learner’s knowledge after he completes the classroom training is by conducting an online assessment. eCampus allows you to track your performance as well by monitoring your points earned on eCampus. Points earned connote learner’s understanding of the course taught in the classroom. eCampus makes learning interesting. Getting bored by learning and feeling lazy to learn by textbooks will be a thing of the past when you get started on eCampus. You can learn anywhere, you don’t need to carry books around, eCampus is accessible on phones or computers. Pick up your phone, download eCampus and start learning the fun way. eCampus ensures “multi-learning”. Learn subjects with ease on eCampus. Courses taught in the classroom from JHS, SHS and university are all available on eCampus. Why stress yourself out on what to learn. Just download eCampus now and start multi- learning. eCampus started as a pet project. An attempt to create some sort of organized database of learning materials that are relevant to students in Ghana but are not available on the internet. The founder of EIL had failed the West African Secondary School Certificate Exams (WASSCE) in 2002, while preparing to take the exams as a private student, he was not getting access to learning materials such as past questions, notes, text books, and cumulative assessment of his learning progress. In 2003, he started learning how to develop database systems and in 2005 the first prototype of eCampus was developed. Our founder got the idea to develop eCampus in Takoradi in the Western Region of Ghana in 2003. Whiles attending remedial classes for the November / December West African Secondary School Certificate Exams (WASSCE). Development actually started in 2004 at the Ghana-India Kofi Annan Centre of Excellence in ICT in Accra, where our founder used to meet with computer enthusiasts who were members of the Linux Accra User Group. eCampus at the time was developed on top of Open Source Software offerings. eCampus was first deployed in a real user environment at Regent University College of Science and Technology in September 2005. The university offered our founder a full scholarship to pursue computer science degree and a systems administrator job in exchange for eCampus. With eCampus, students were able to download lecture notes, submit assignments, practice with sample questions, work in groups, chat and have discussions online. CLICK HERE TO REGISTER AND DOWNLOAD YOUR APPS AND EXPERIENCE THE SMART WAY TO LEARN ONLINE.